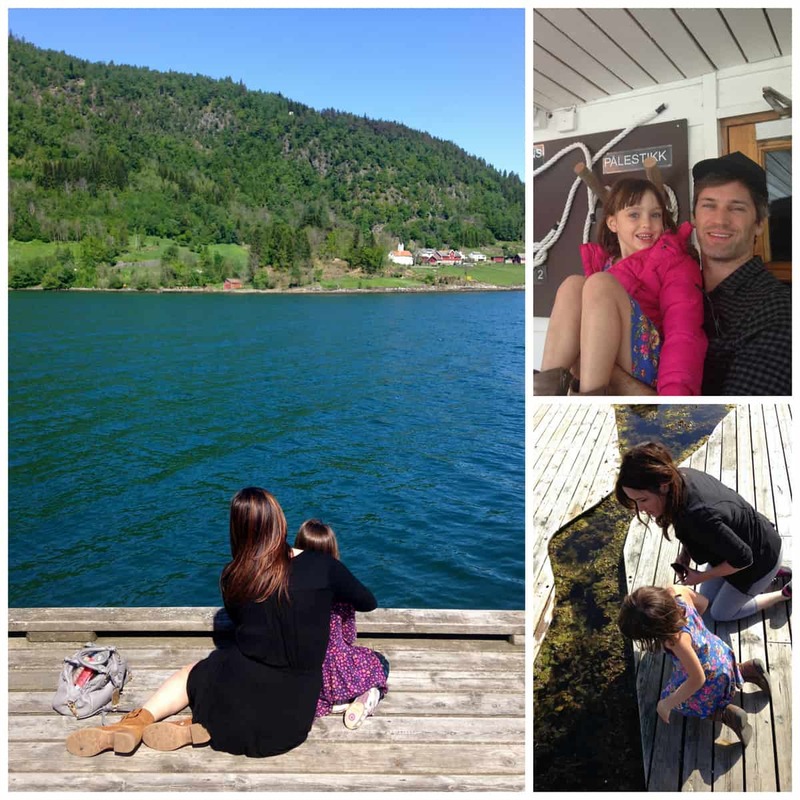 I’m so excited to share part two of our journey to Norway (check out the first leg here: A Norway Itinerary for Families – Part 1: Oslo and Akershus and the last leg here: A Norway Itinerary for Families – Part 3: Bergen) – the Fjords! 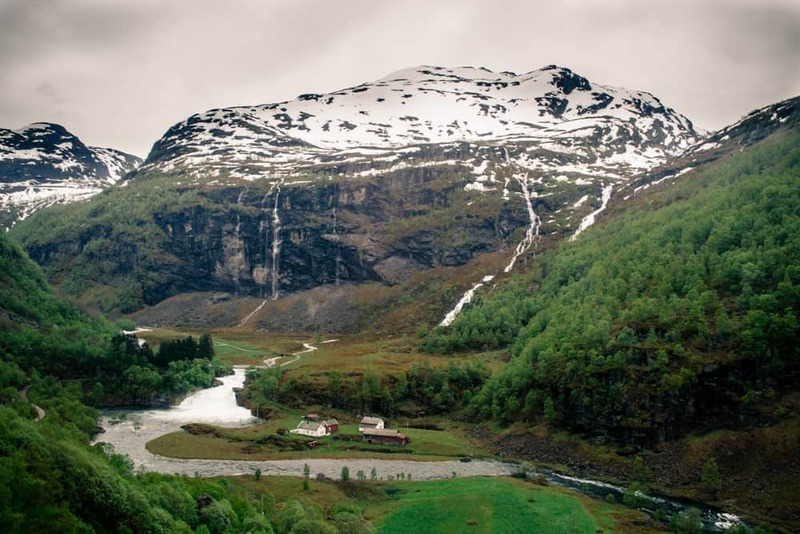 Pictures can’t really do the majestic scenery justice, but I am going to try. 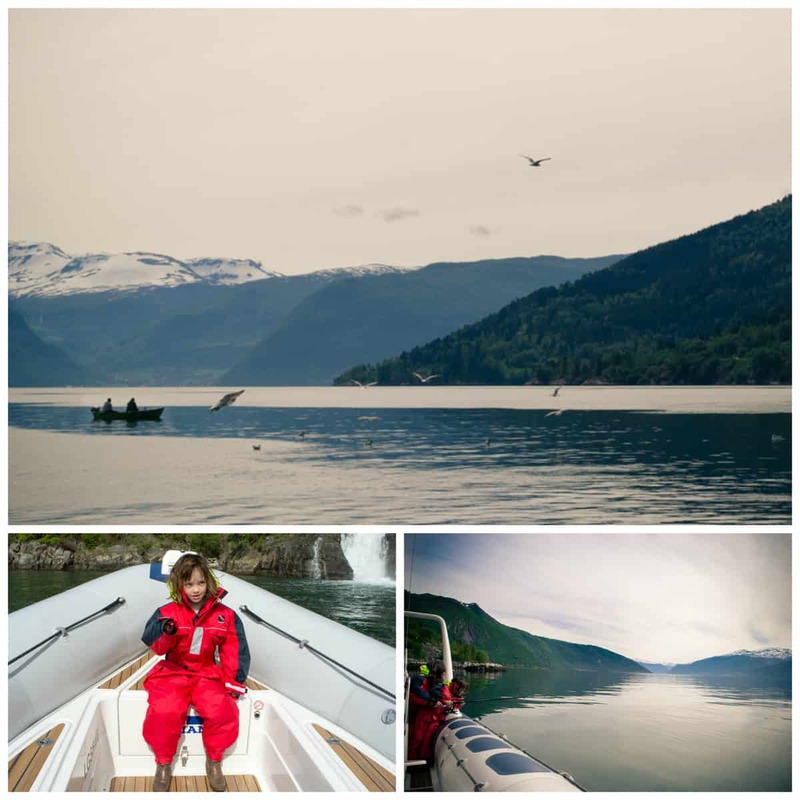 Read more to check out our travels across Norwegian fjords to Flam and Balestrand and discover all the magic you can see as a family, with super bonus Frozen sighting! 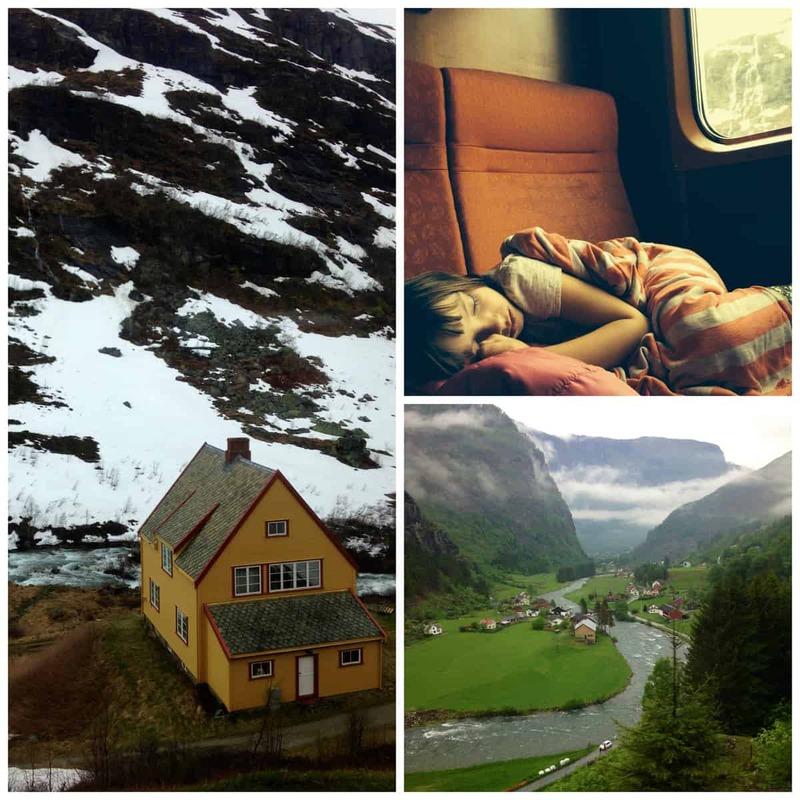 Getting Around: Travel across Norway on the Norway in a Nutshell / Sognenfjord in a Nutsell tour via the Bergen Railway. 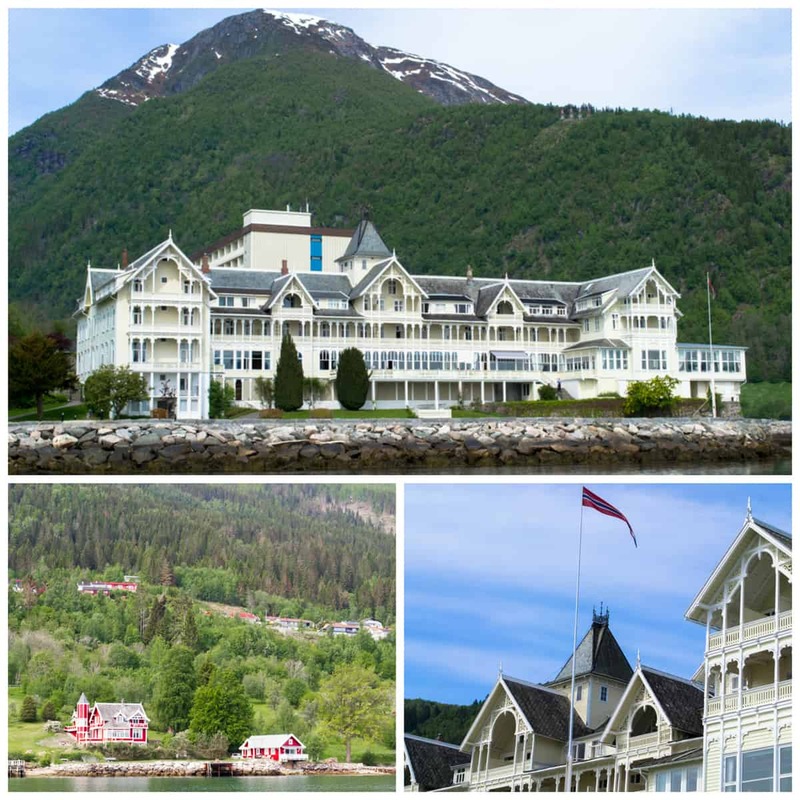 Flamsbrygga Hotel: The Flamsbrygga Hotel is right on the water – just stunning views from all the balconies, and there’s even a children’s playground right outside the back door. 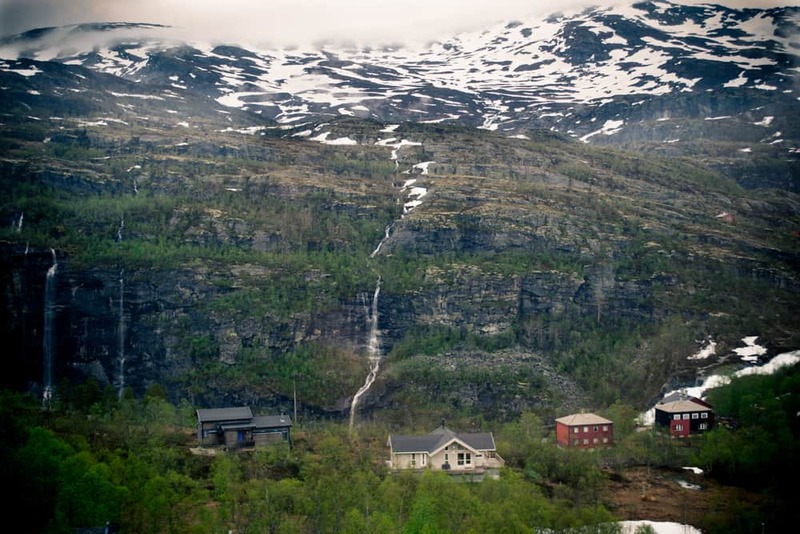 Flåm Railway: You will arrive in Flåm via the historic Flåm Railway. Do not fall asleep like my daughter did! 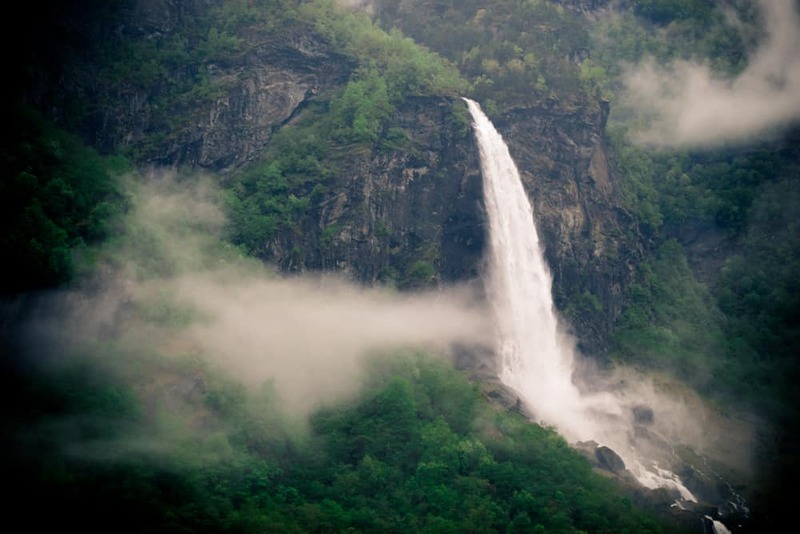 Seeing a view like these is truly a once-in-a-lifetime opportunity. 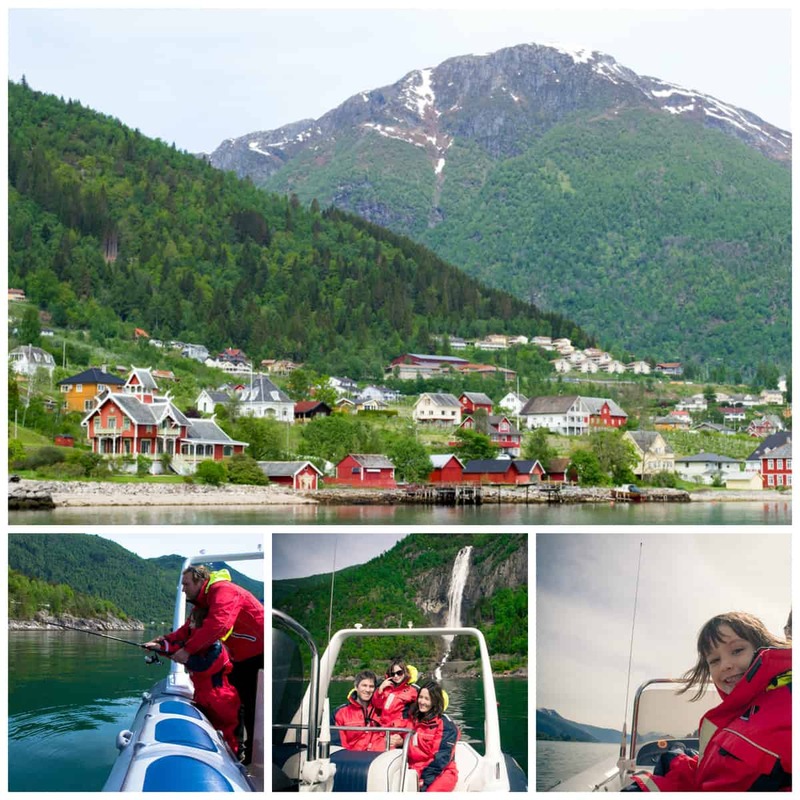 Tour Nærøyfjord: Tour the world heritage area of Nærøyfjord by boat with Fjord Safari. 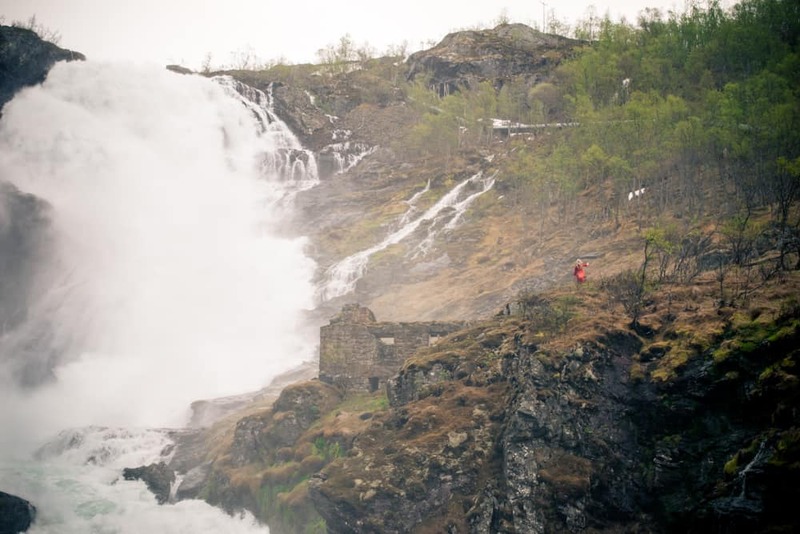 Eat a traditional viking meal and drink award winning beer made right on site at Ægir Brewery, then visit the Freithem Hotel for the dessert buffet and the view. Yum. 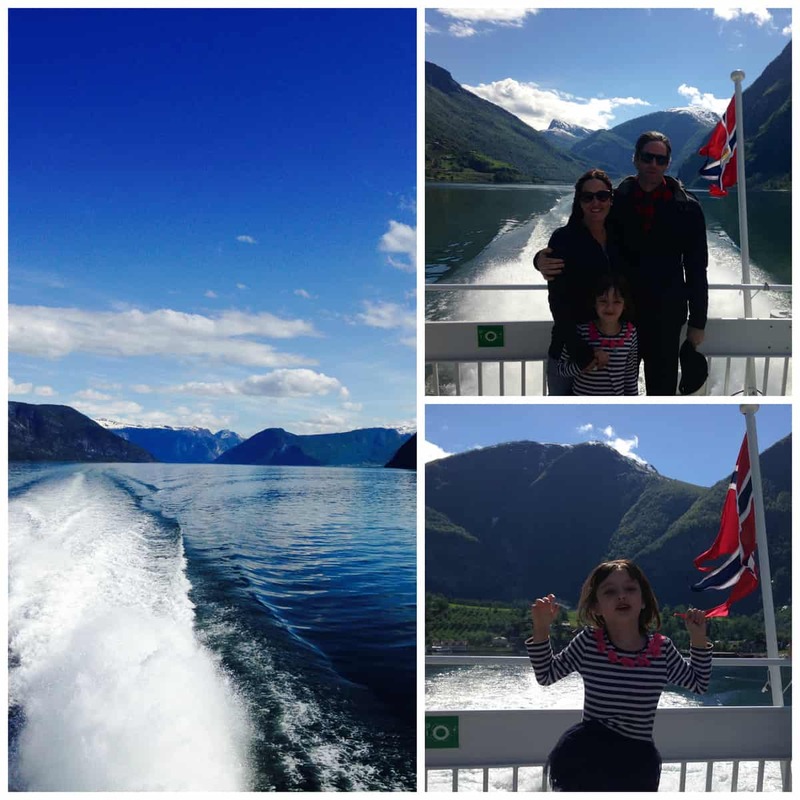 Time to take the ferry to Balestrand. 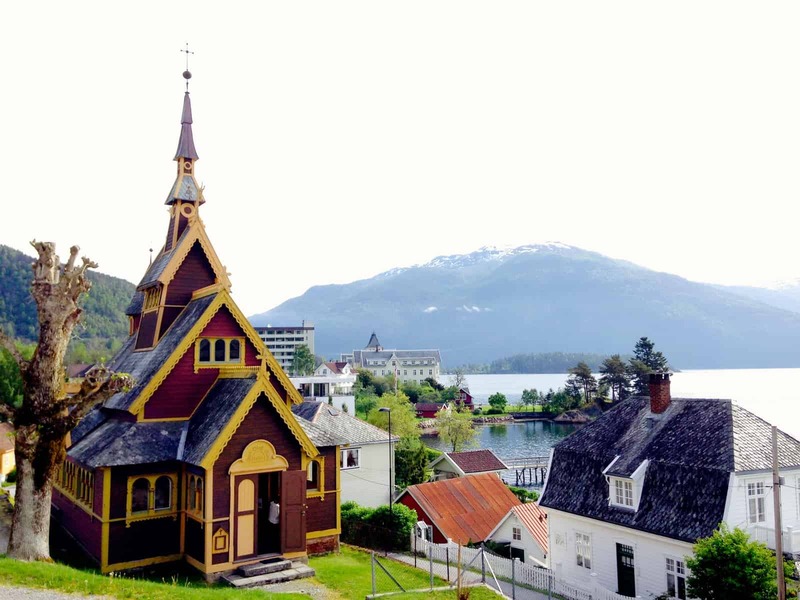 Most Norwegians will tell you that Balestrand is their favorite place in Norway. 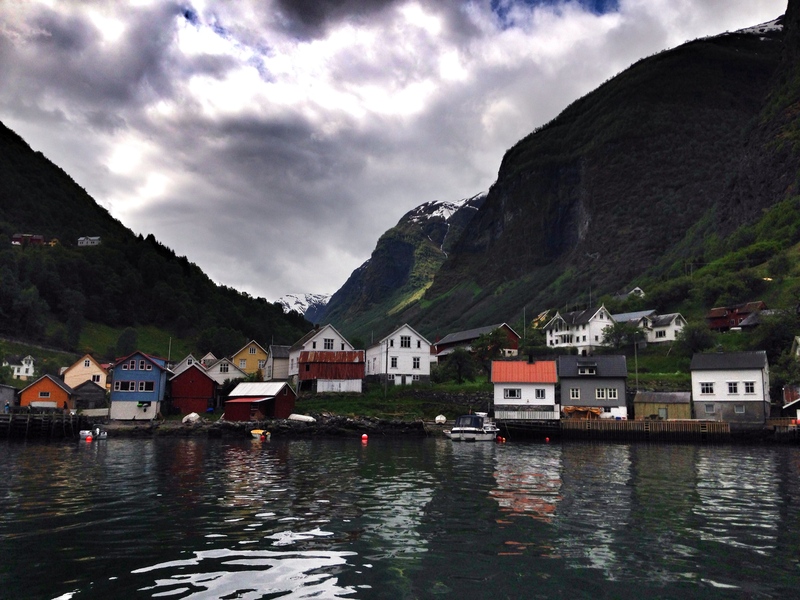 It is so stunning and peaceful – I could have happily stayed there for a month. 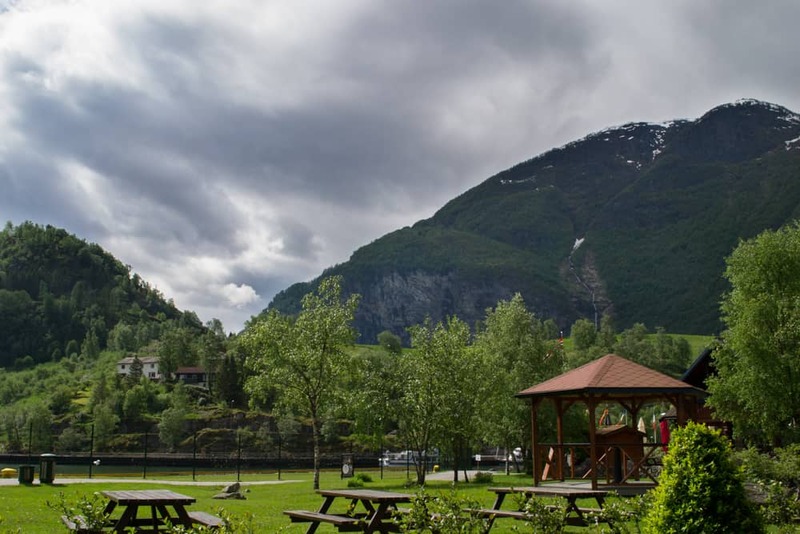 Midtnes Hotel: The Midtnes Hotel boasts a gorgeous view and delicious dinner, and it is right next door to St. Olaf’s Church. 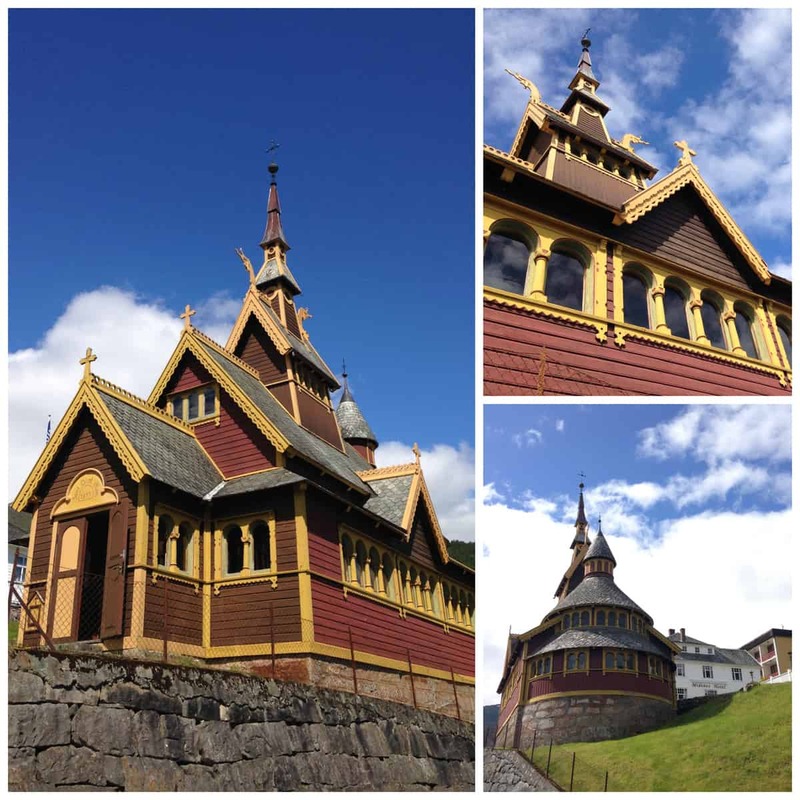 Yes, the inspiration for the chapel where Elsa is crowned Queen of Arrendelle in Frozen (and for our favorite snowman’s name)! 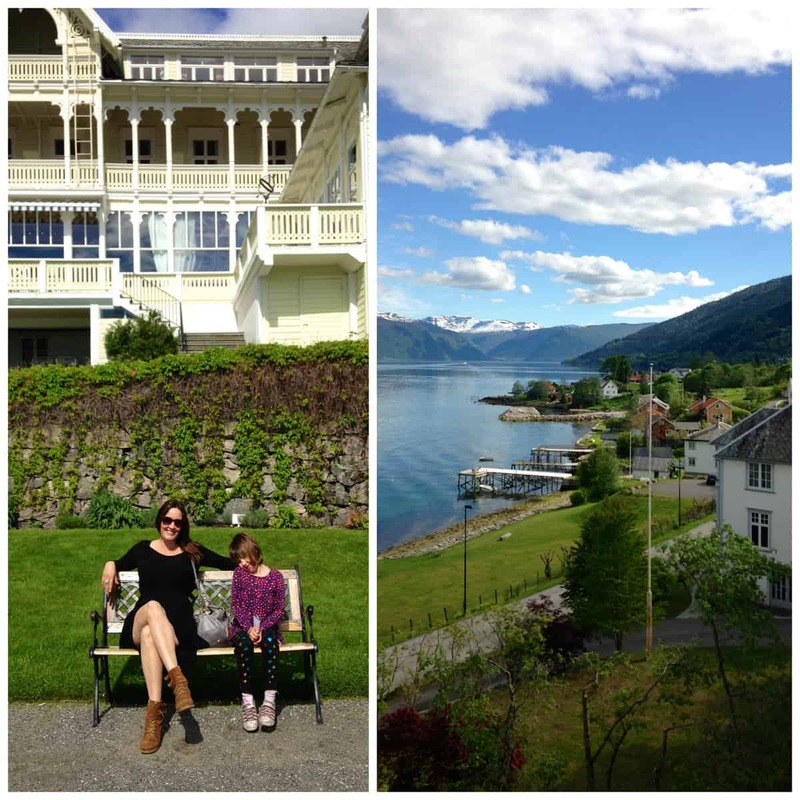 Kviknes Hotel: We spent our second night in Balestrand at the historic Kviknes Hotel, which was just lovely, inside and out. 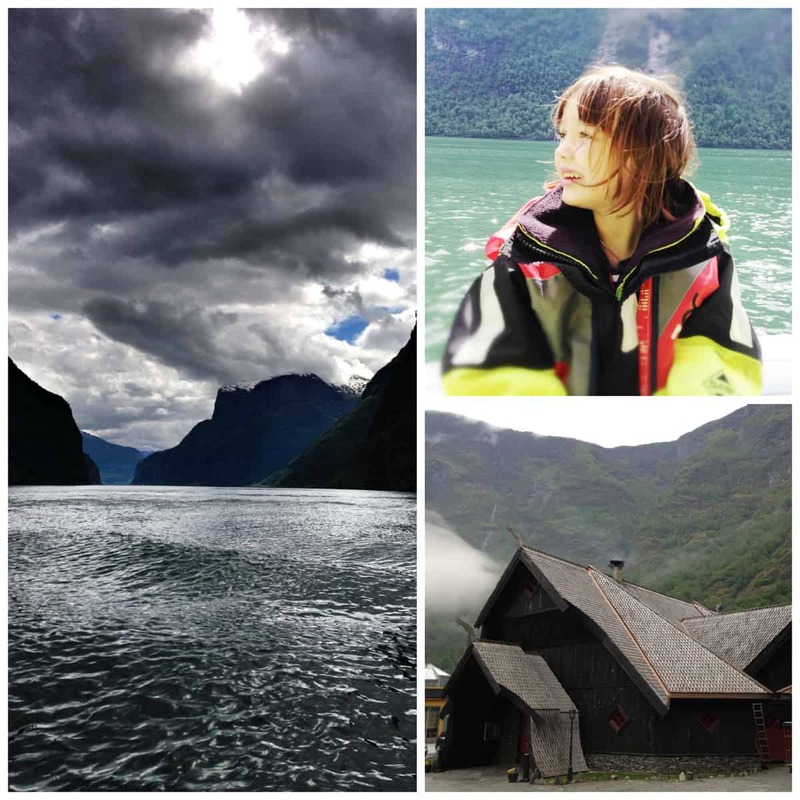 Guided Boat Tour: Take a tour of Sogneforden with Malsnes Fjord Experiences. Our guide was wonderful, and even taught Scarlet how to fish. Aquarium: Visit the local aquarium by the dock. It may be small but it is awesome! My husband even took out a rowboat with Scarlet. Viking Mounds: Take a walk along the beach and town with a paper guide (you can pick it up at the tourist office. 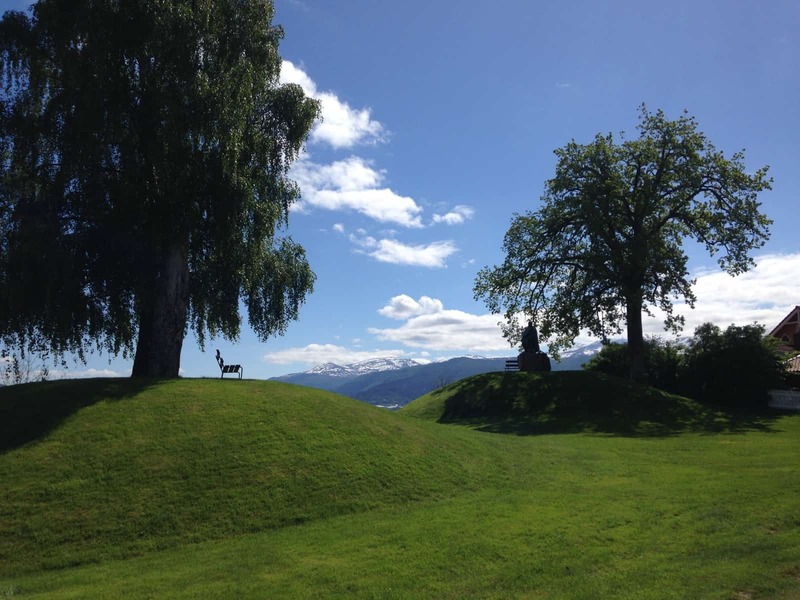 We loved rolling down these Viking burial mounds. Midnight Sun: In the spring and summer the sun sets so late, we had (almost) midnight sunset around 11:30 p.m.! It is just stunning. 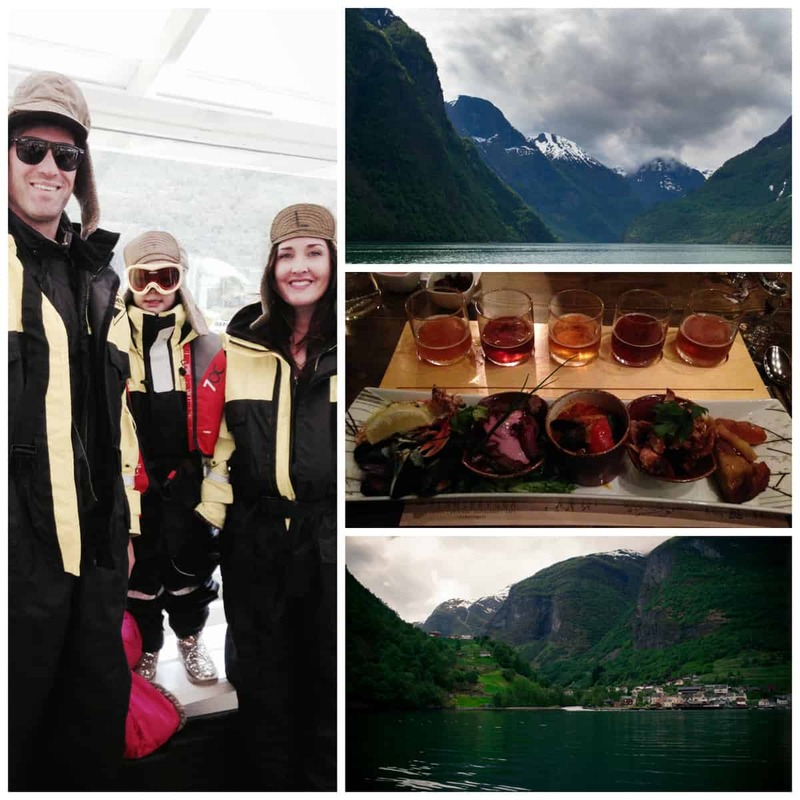 Norway blew my mind! 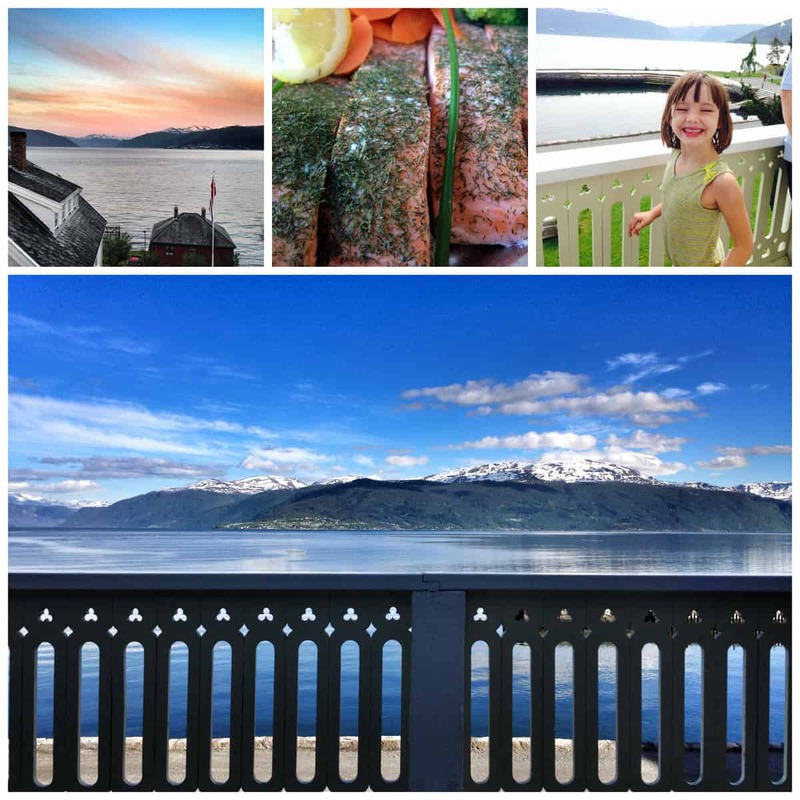 Wow, what a lovely article.thanks for sharing your pictures and thoughts.We hope you come back soon. Thank you Sherri! Yes, go, take the kids! It’s wonderful. I would love to visit but what would be the best time and did u guys rent a car? How long was ur trip? is it expensive? 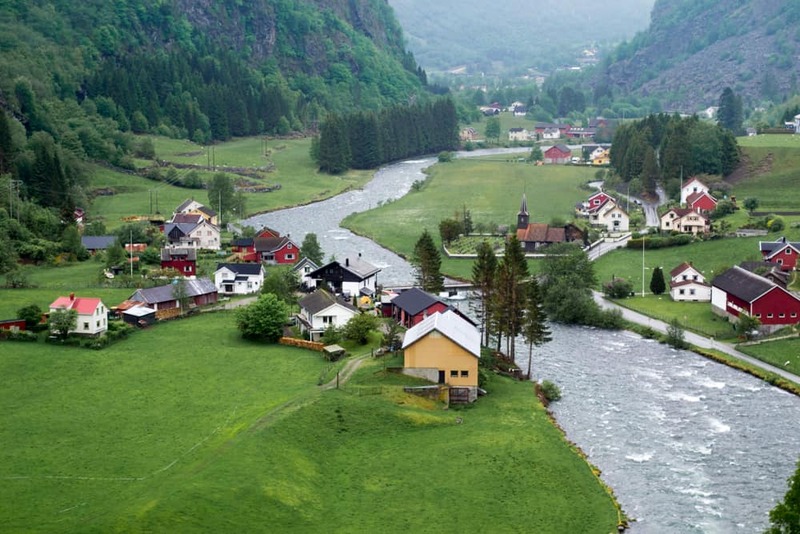 You definitely don’t need to rent a car – the publix transportation is so easy and clean and all in English, and you take the Norway in a nutshell tour (train) across the fjords, then travel on the fjords to Bergen by boat. 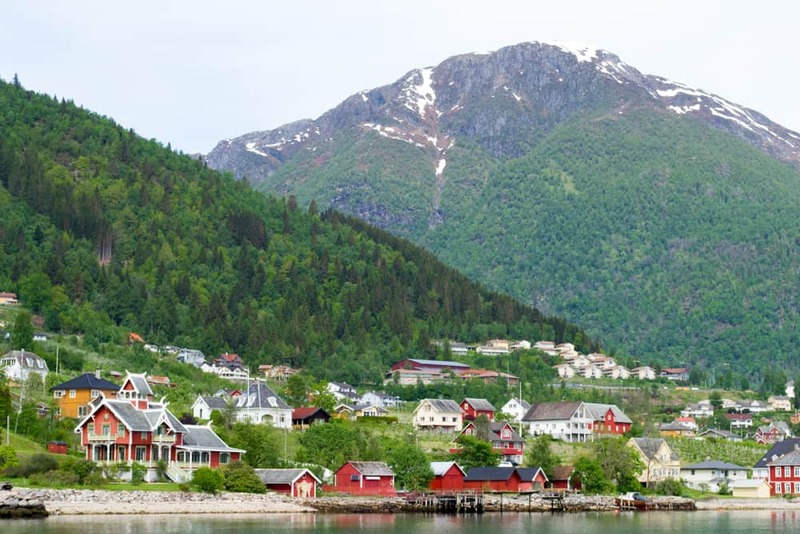 Norway is expensive, especially food, but the tour itself and hotel isn’t too spendy.